Washing equipment specialists, McCloskey Washing Systems (MWS) along with its UK dealer Max Innovate Ltd, held its first multi-spread demonstration event at Monk Plant Hire (MPH) in Hockering, Norwich, UK, on March 20 and 21, highlighting the power of the washing equipment working together. Washing equipment specialists, McCloskey Washing Systems (MWS) along with its UK dealer Max Innovate Ltd, held its first multi-spread demonstration event at Monk Plant Hire (MPH) in Hockering, Norwich, UK, on March 20 and 21, highlighting the power of the washing equipment working together. The demonstrations were an integral part of events tailored to familiarize both new and established dealers and customers with the versatility and productivity of MWS latest products. The highly successful event attracted more than 200 attendees who enjoyed guided tours to inspect and view the equipment at work while taking the opportunity for questions and answers with McCloskey experts. The event highlighted new washing and classifying equipment for both quarrying and recycling applications. (L-R) are: Mark Monk, director, Monk Plant Hire; Fintan McKeever, director, Max Innovate; and Sean Loughran, director, McCloskey Washing Systems. The Monk family has been involved in the recycling and demolition industry for almost 20 years. MPH offers the supply of crushed concrete, brick rubble and road planning's along with screened top soil in to the local construction market. It also is able to offer site clearance services within a 60-mile radius of Norwich. The McCloskey spread included a dual power R105 scalping screen which feeds a minus 40mm into the Aggstorm 150 log washer to produce a clean product which is split in to three aggregate fractions. 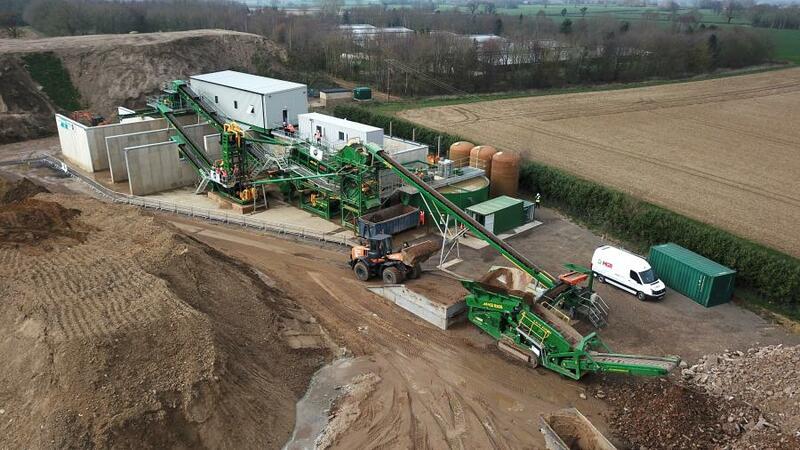 The minus 5mm sand is processed through the compact sand plant 120 creating two grades of sand. The washing system at MPH has been in operation for 3 months and has already processed approximately 60,000 tons of material creating clean drainage aggregates and concrete sands. Prior to this, the material would have been crushed and sold as a low cost sub-base material. MPH currently is producing six sellable products: three aggregates, two sands and a clay from the filter press. This material was previously taking up valuable space on site prior to the new system being installed. In addition, the customer was missing out on a significant revenue opportunity that could be realized through the introduction of an effective washing system. The MWS product along with the water treatment plant installed at MPH has addressed both issues and resulted in the customer being able to maximize returns from their operation. There are many features of the Aggstorm 150 log washer that make it stand out from other similar products in the market, according to the manufacturer. The variable speed drive for the shafts allows you to alter the retention time. One feature that captured the attention of all at the recent open day was the MWS side door access system. This advanced engineering breakthrough makes it the only log washer in the industry that has been designed with absolute focus on the machine operator for ease of maintenance, according to the manufacturer. "The system has been designed to allow the operator access to the hull from a standing platform when carrying out maintenance tasks such as the removal of rope, rags or wire from the shafts and blades which is a common occurrence within this sector. Previously operators would be required to lay on top of the hull face down to carry out this process, which posed safety issues, along with a much longer downtime for the operator," said Ben Frettsome, MWS sales and applications manager. The AggStorm modular wash plant brings together rinsing, scrubbing and screening capabilities on a single transportable chassis. Primarily designed for the processing of construction and demolition waste, the AggStorm at Monk is producing three grades of aggregate, 40mm, 20mm and 10mm aggregate along with pre-screening a 0/2mm and 0/5mm sand product. 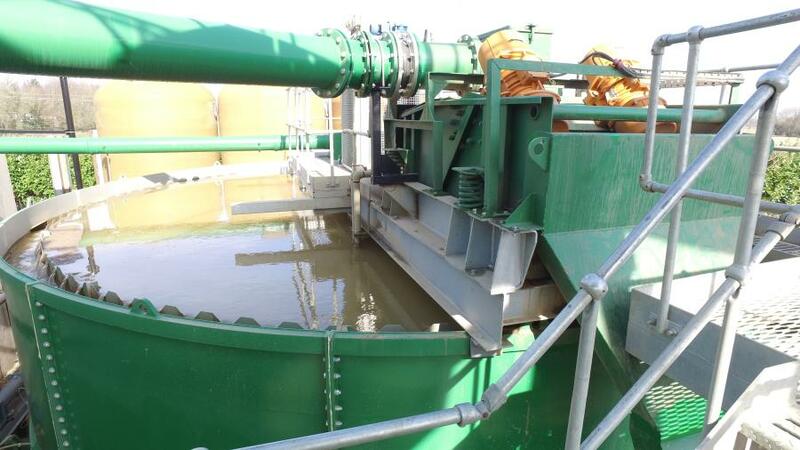 The wash plant also includes a full water management system incorporating a 9-meter diameter low level rake thickener along with a filter press, recycling more than 95 percent of the water used in the washing system. 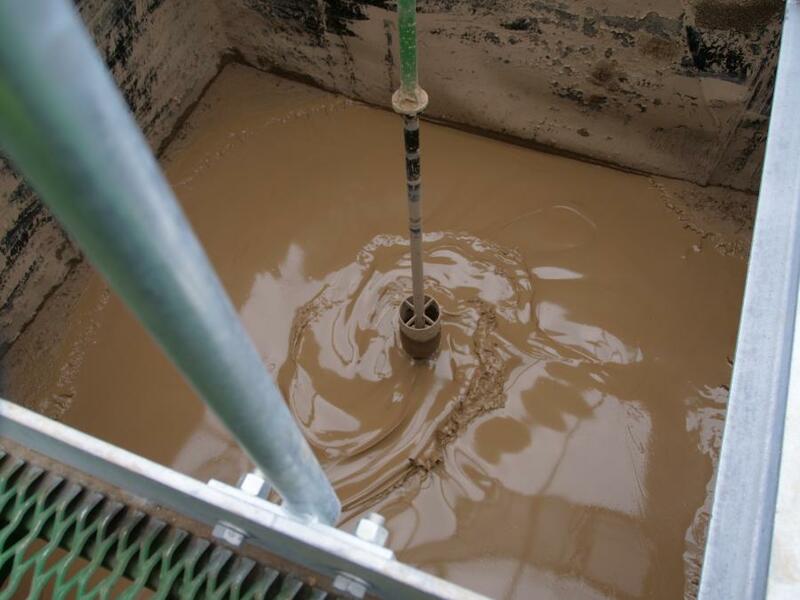 The filter press produces a dry solid "cake" with a residual moisture content of below 22 percent which allows for this to be transported immediately, in comparison to other methods such as centrifuges or traditional tailings ponds which require multiple handling and days to dry. This also allows for a separate revenue stream to be created through the sale of this "by-product" to several local industries. "At a time when operators are focused more than ever on maximizing efficiencies within their sand and aggregate processing operations, our plant at MPH provides evidence that there are significant opportunities to be taken advantage of with the processing of recycled waste," explained Mark Monk, director at Monk Plant Hire. "We are deeply appreciative for the opportunity MPH gave us to demonstrate our equipment at their site in March. The perfect weather, combined with this perfect venue, made the event a resounding success on every level. We extend our sincere thanks to them, as well as to all those who joined us, we were delighted with the turnout," said Sean Loughran, McCloskey Washing Systems director. 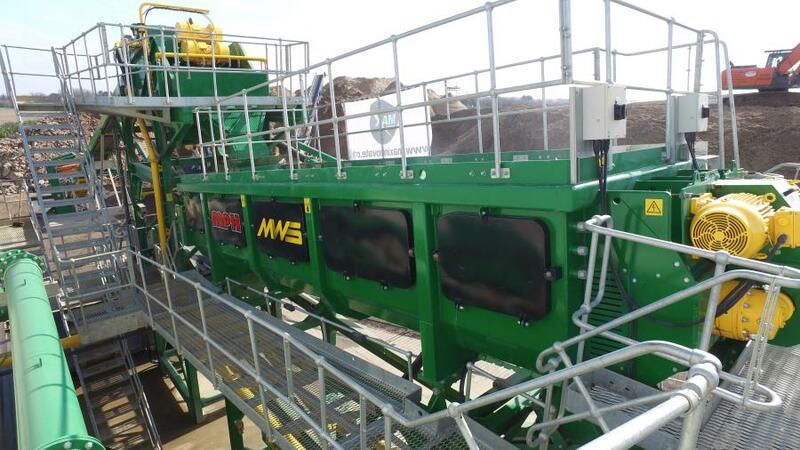 MWS UK dealer, Max Innovate is a leading provider of material processing and handling equipment, specializing in the waste and aggregates industries. Fintan McKeever, managing director at Max Innovate, said, "The initial interest in the open day was phenomenal, and we quickly realized that we were going to have to spread the event over two days to accommodate all those who wanted to attend." 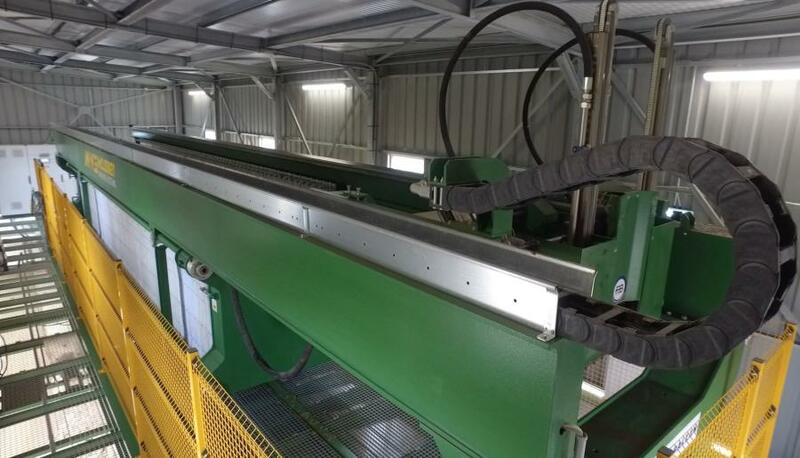 "The wash plant provides Monk Plant Hire with clean in-specification material that they could not achieve by dry screening alone; this will increase their sales and grow their customer base. The complete processing system received lots of positive feedback with many visitors impressed with maximum access to serviceable areas and the quality of the product produced. "The tours impressed the visitors with the attention to detail and pride that everyone at McCloskey and Max Innovate takes in what we do, and it made me proud to be part of such a market-leading company. As I have come to expect from the team at MWS, the open day speaks volumes for the company's ethos, as well as to serve as an indicator for future growth plans." Commenting on the success of the open day, Ben Frettsome, MWS sales and applications manager, said, "We were delighted with the turnout and to have the chance to showcase our impressive product range in the UK once again. The Open Day proved to be another successful breakthrough for MWS, as we have now entered another industry with what I firmly believe to be the best product in the market place for the waste recycling sector. "Reaction to the plant was overwhelmingly positive and we received immediate orders as a result. To have the opportunity to show an international audience around our system and spend time reviewing critical areas of interest for them was fantastic." For more information and for a full range of washing equipment offered by McCloskey Washing Systems, visit www.mccloskeywashing.com.